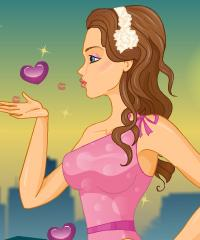 Catch a Kiss, Romantic Dating & Kissing Dress Up Game for Girls. This romantic couple are so much in love and they are about to start kissing and they will kiss each other again and again. Dress them up in a trendy and stylish way and find the perfect fashionable hairstyle for both the girl and the boy.